This is one of the more interesting requests I've received, and although it’s probably lettering, not type, so we can’t give them a satisfactory font match, I post it here because the project is so cool and maybe some of you have other ideas for what stencils or templates to use as a model for the restoration. The New Zealand based Antarctic Heritage Trust plans to undertake a project to conserve the remaining original Scott Base building in Antarctica, established at Pram Point in 1957 as part of the Trans Antarctic Expedition and International Geophysical Year. 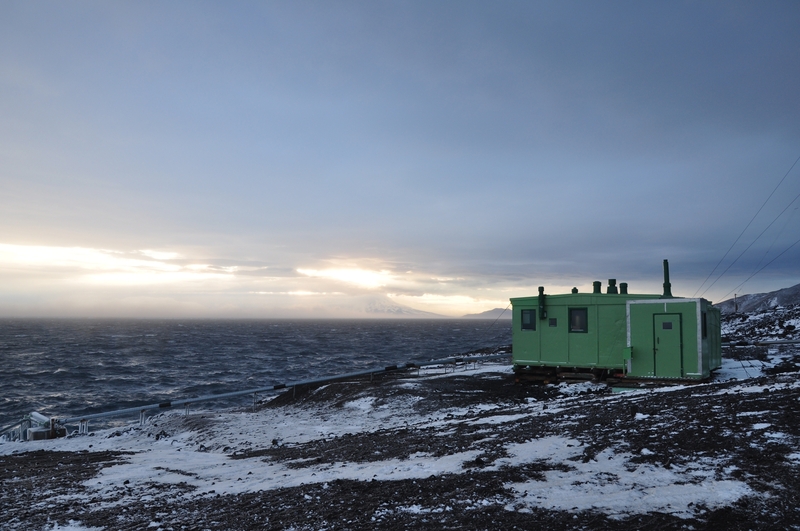 The ‘TAE’ Hut contained the original mess, kitchen and Sir Edmund Hillary’s office and was part of six interconnecting units and three detached science buildings that formed the antecedents of modern day Scott Base, New Zealand’s scientific facility in Antarctica. Those original Scott Base buildings were all pre-fabricated in NZ, then shipped down to the ice as kit sets. Each building panel was marked up with a stencilled number. The Trust is trying to determine which font or stencil template was used, in the hope of being able to replicate some of the stencilling. Images show the TAE hut in its current position at Scott Base, as well as clips from the best original image we have of the stencilling, and what is currently visible on the building under a few layers of paint. Architectural indentifiers like these are often from prefab templates, stencils, or hand lettered. So it’s probably not a printer’s font. The ‘2’ could be different from the other stencils. Clarendon might come closest on that one. The small stencils are also very likely not fonts. They remind me of Le Corbusier and its many interpretations, but of course not the same. The ‘W’ looks a lot like an upside-down ‘M’ – it is narrow, with vertical sides, and a reversed contrast (thick left, thin right). This suggests that the lettering was indeed made with actual stencils (here rotated), as opposed to being freely painted. A digital font with such a Clarendonesque ‘2’ would be Vtg Stencil US No.4. It is not a match for the other characters, though. Please post any ideas and I'll forward them to Lizzie Meek at the Trust. Further information on the Trust’s work on Antarctic building conservation, and inspiring explorers can be found on their website. Not a match, but a decent substitute, yes.